As today is my wedding anniversary (16 years), I thought it would be a good time to think about what we would like to do over the next several years. Steve and I have so many places I want to travel to and explore over the next five years. This past year Steve and I decided that it’s time to bite the bullet and start doing more “big ticket” trips that cost more time and money than we usually spend or take. Our thought is that we aren’t getting any younger, we are both making more financially than we ever have and may very well be at the top of our earning potential and we both have the ability to take more time off than we have before. We’ve also managed to hit a savings milestone so are feeling more comfortable about retirement. So, below is the list of travel experiences that I have my eye on to do over the next five years. I probably won’t get to all of them but it will be interesting to come back to this list in five years and see what we managed to complete. 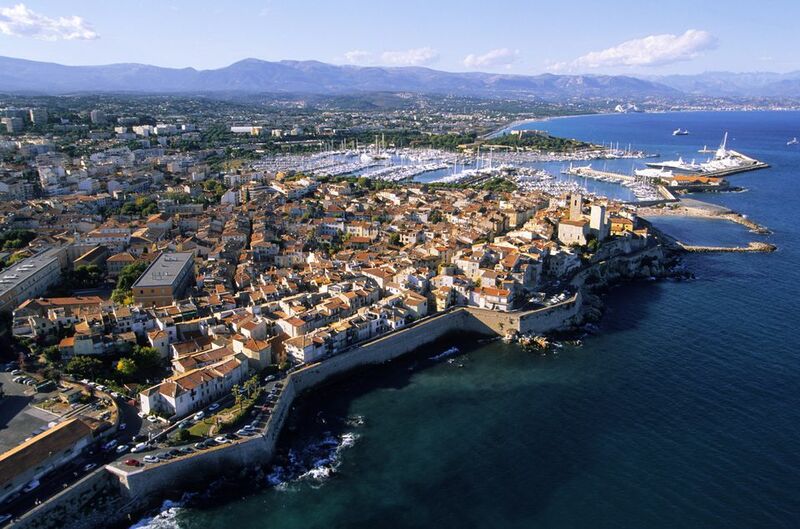 Southern France – We head to Paris and the French Riviera (Nice and Antibes) this summer so I know I can mark this one off the list soon. Italy (Tuscany) – We are planning to do this trip in November 2019 and will be taking Steve’s mom with us as well. 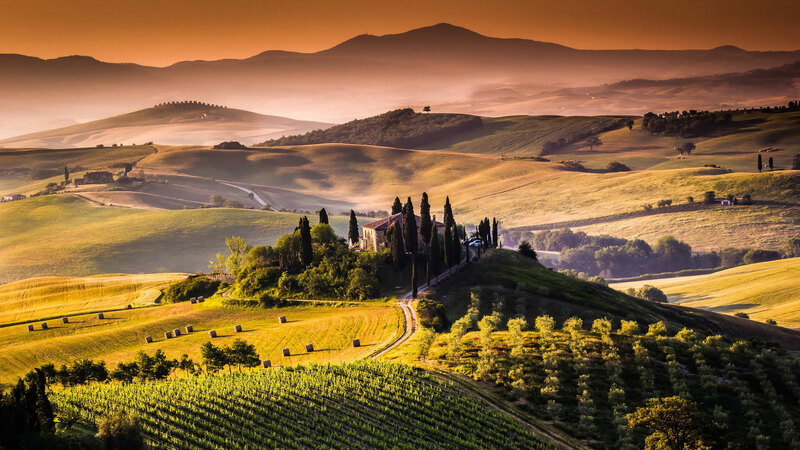 We will start in Rome and then head to Florence with day trips into Tuscany. Hong Kong – I hope to make this trip happen in Spring 2019 and will combine it with a visit to either Vietnam or Thailand. Vietnam (Hanoi, Ha Long Bay & Hoi An) – I’m really torn b/w Vietnam and Thailand next year but right now Vietnam is in the lead. Peru (Lima, Cusco and Macchu Picchu) – I would love to take the Hiram Bingham train up to Macchu Picchu and stay at The Sanctuary Lodge near the ruins and spend time in the Sacred Valley. Iceland – I would love to visit Iceland but in reality this may be closer to the bottom of my list. It’s an expensive place to visit and Steve hates the cold even more than I do so I’m leaving it on here but realistically, we will probably back burner this one for awhile. Argentina (Buenos Aires, Mendoza and Iguazu Falls) – This trip is really high on our list and will definitely have to happen in the next five years. Japan (Tokyo and Kyoto) – It’s Japan. I have to go. Thailand (Bangkok, Chiang Mai and Koh Samui) – If Vietnam wins out for 2019 this will have to wait for another year or two but it will happen. I’m dying to visit Thailand. 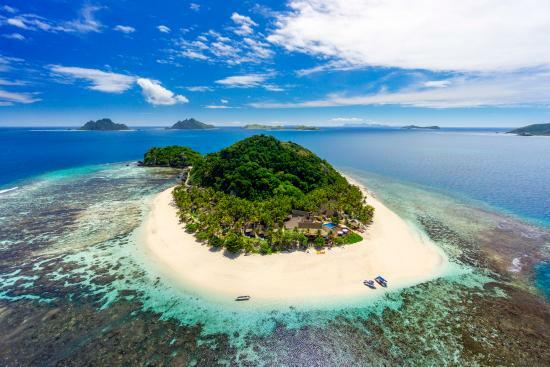 Fiji – We have a trip booked to Fiji this November and will be spending 7 nights on a small private island resort. 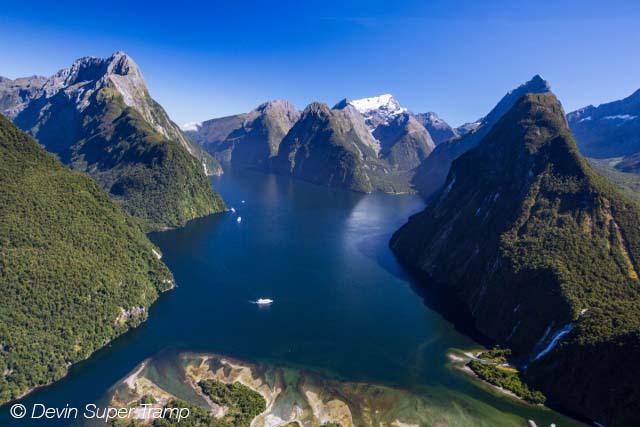 New Zealand (Queenstown, Auckland and Waiheke Island) – This is a long flight for us from Texas so doubtful we will make it happen in the next five years but you never know. South Africa (Cape Town and Cape Winelands) – This is another one that is a crazy long (and expensive flight) for us so I don’t know if we can feasibly make it happen in the next five years. Realistically, we will probably head to Tanzania before we can make South Africa happen. 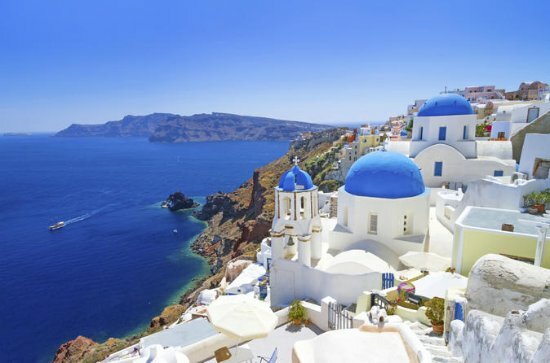 Greece (Athens, Cyclades Islands) – I would love to visit Greece and I think this one will be a must do for us sooner rather than later. Crete – I will likely try to squeeze in a few days in Crete if we visit Greece as we can take a ferry here from Santorini. Hawaii (Kauai mostly) – Steve is pretty “meh” about this trip idea but I think that’s because he thinks Hawaii is all old guys in sandals with socks and ugly Hawaiian shirts. I think he’ll love it when he gets there. I mean look at that scenery! Budapest & Vienna – I love European cities and these two seem like the perfect combination. Amsterdam & Brussels – Same as above. Amsterdam is an iconic European city that I have yet to visit and is high on my list. Steve loves the idea of visiting Brussels for the beer as well. Aspen, Colorado (during fall when the trees are brilliant) – Colorado is super close and easy to visit but we have never gone when the aspens turn their brilliant orange and yellows. St. Barts, Caribbean – We have visited a lot of Caribbean islands but have yet to visit the tiny French island of St. Barts. It’s high-end and popular with celebrities but it’s supposed to have some of the best food in the Caribbean. St. Vincent & the Grenadines, Caribbean – I am dying to spend at least 4 or 5 days at a private island resort in this area. Its the unspoiled Caribbean as it’s harder to get to so I would love to visit. We stayed on St. Lucia a few years ago and loved how casual and relaxed it was. Crater Lake, Oregon – This place is quite remote but it just looks incredible. I also love the State of Oregon, which has so much natural beauty. 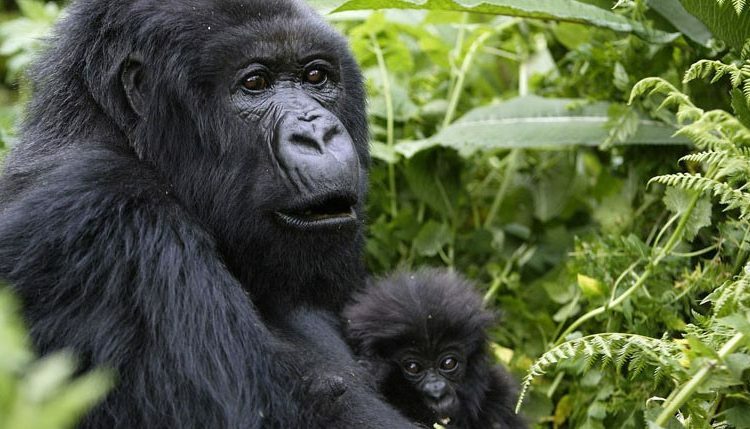 Rwanda (gorilla trekking) – My husband thinks I am a certified nut ball for wanting to do this but they have recently opened a luxury lodge (Bisate Lodge) in Rwanda near the Virunga Park that I am dying to visit. I think this would be an incredible trip. Can you imagine getting up close and personal with these beautiful animals? 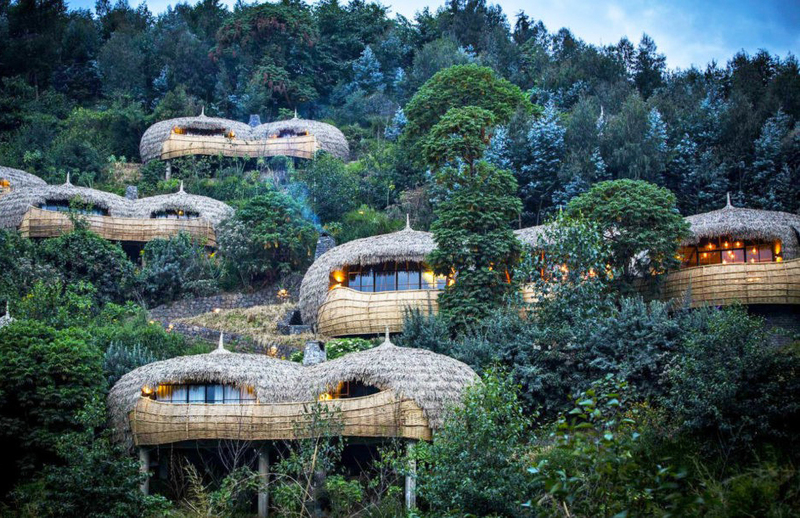 Bisate Lodge, Rwanda – how cool is this place? San Juan del Sur, Nicaragua & Costa Rica – This is relatively easy for us to get to from Texas so we would love to spend a few days on the Emerald Coast of Nicaragua and then a few days on the Guanacaste Peninsula of Costa Rica as well. San Juan del Sur is a spot we have considered for possible retirement or a vacation home due to the natural beauty, location and affordability but we need to spend some time there first. Ugh – it’s quite a list and I haven’t included the smaller trips we plan to do such as Puerto Vallarta, Mexico and Napa Valley just to name two. We are trying to use our points and miles wisely to get the most bang for our buck so we can travel comfortably and make as many of these trips happen without being financially irresponsible. It’s not an easy task (first world problems, I know). I guess I’ll see how we do over the next few years!